Some pictures of dresses I made from this pattern. 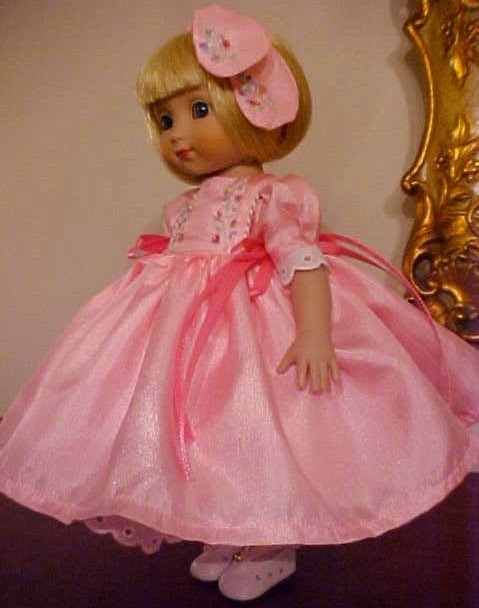 Gracie looks especially pretty in pink! This fabric was a natural fabric, it wasoe of the newer silky fabrics which make sewing tiny seams hard. With this pattern, without set in sleeves, sewing silky fabrics is so EZ!! !